Timber Wolf Karnak Temple Dagger And Sheath - Fire Pattern Damascus Steel Blade, Natural Bone Handle, Brass Guard - Length 14 1/4” | BUDK.com - Knives & Swords At The Lowest Prices! 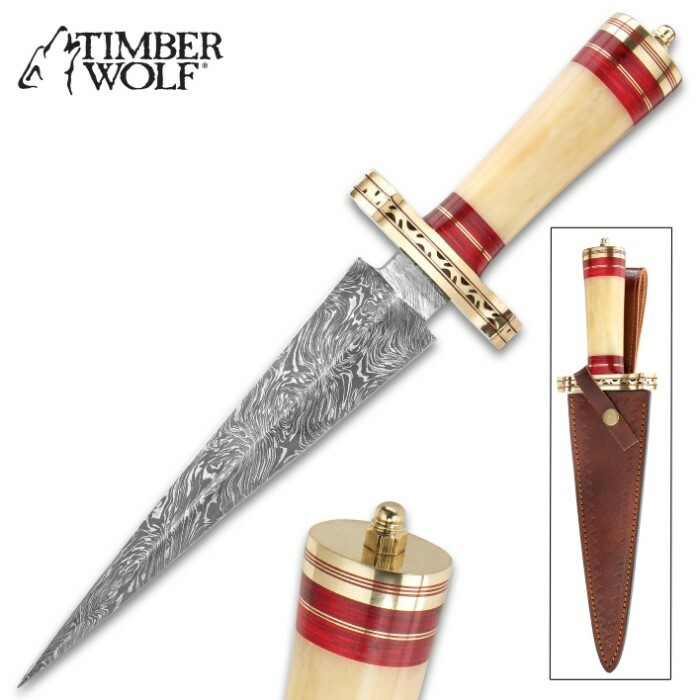 The Timber Wolf Karnak Temple Dagger may have been found on the hip of a temple guard at the height of ancient Egypt’s Upper and Lower Kingdom’s dominance. 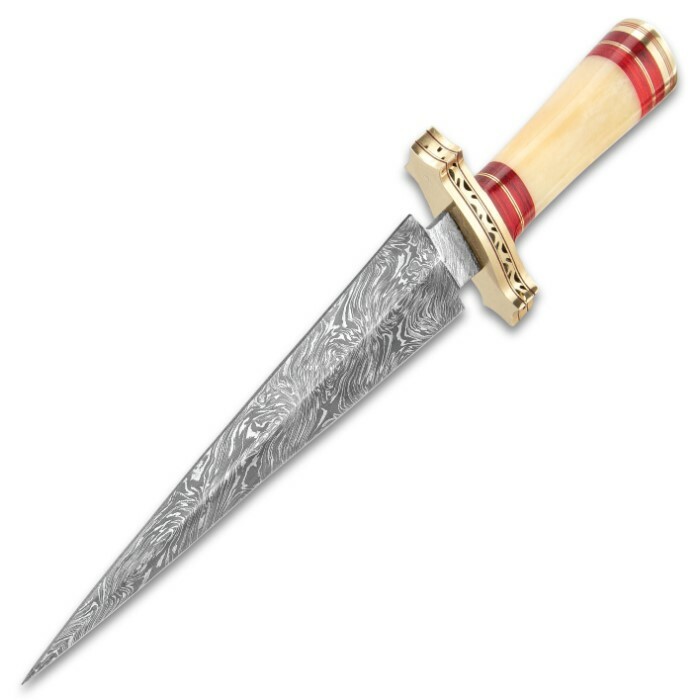 It has a sharp, 9 1/4” fire pattern Damascus steel triangle blade, which extends from a hefty, file-worked brass handguard. 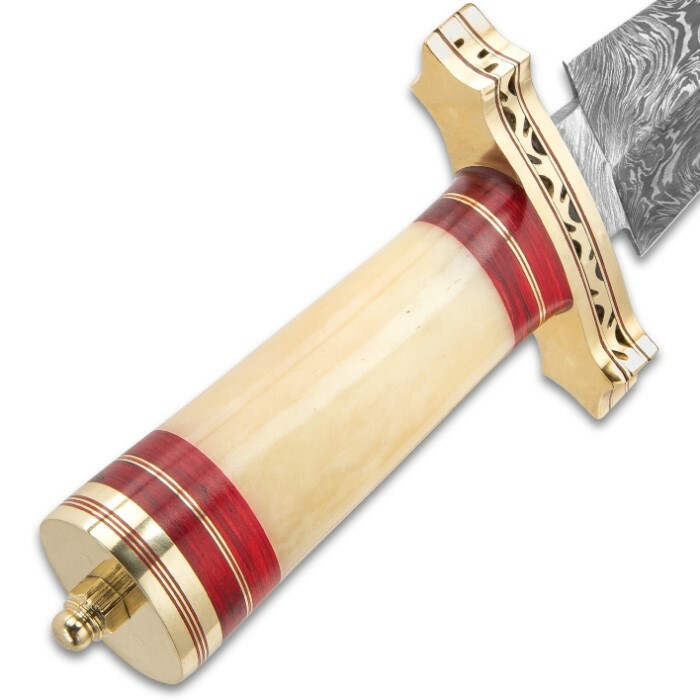 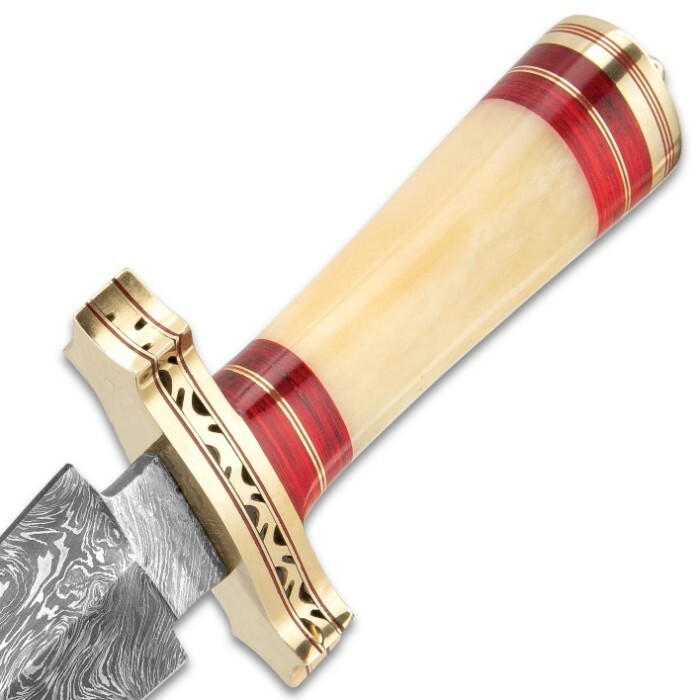 The handle is cream-colored genuine bone, accented with red wooden bands and brass spacers, complementing the brass pommel. 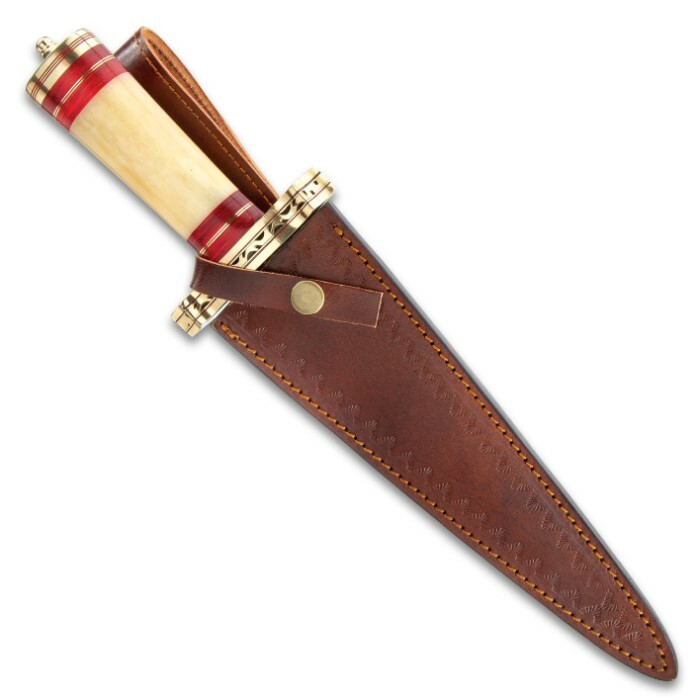 The handsome 14 1/4” overall dagger slides securely into a premium leather belt sheath with embossed decorations.